Consistent Advertising = Familiarity = Trust = Customers. People won’t buy from you until they trust you. Consistent Advertising = Familiarity = Trust = Customers! Newspaper advertising in Spain can be a highly successful and effective advertising medium here for you in Spain, but you need a little persistence, patience and a start-up budget. We recommend that your ad consistently appears in the same place in the newspaper every week and that you allow three months running time before you see any sort of increase in sales. It takes time to build trust. But that is why you can utilise the Euro Weekly News to help grow your business. 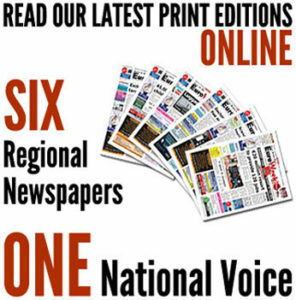 We have been providing our readership with a quality FREE newspaper for over 11 years. Our readers trust us. In time they will trust you too. Newspaper advertising in Spain for the English speaking expat markets on the Costa del Sol, Costa Almeria, Costa Blanca, Mallorca and Axarquia, provide the most extensive reach that no other marketing medium currently provides. In order to target the largest audience possible or corner the market in the most direct way, newspaper adverts are where you should channel a good portion of your marketing budget. The very simplest of arithmetic demonstrates that a print-run of 46,000 copies for the Costa del Sol, 25,000 for the Costa Blanca North, 35,000 for the Costa Blanca South plus 13,000 for Costa de Almería, 10,000 for Axarquia Malaga East and 10,000 for Mallorca per week, means we deliver a print run of 134,000 copies EVERY week. That’s a staggering 580,667 copies of Euro Weekly News per month, a statistic to be proud of and show off with satisfaction. Would you like to see your business ad printed 580,667 times? As Europe’s largest and most popular free local newspaper, Euro Weekly News is the name you can trust, with distribution figures you can believe in. At Euro Weekly News we don’t just say we are the biggest – we back it up. Remember, when “they” make unbelievable claims that you’re disinclined to believe, ask them to whip it out (the printer’s bill, that is), because we can. Do I have to advertise in ALL editions? Absolutely not! We understand that your product or service may only be relevant or available to one area of our distribution. You can advertise in just one edition or all of them. It’s entirely up to you. The classified section is normally towards to the back of the newspaper and usually consists of lineage ads and smaller display style ads. This section is split in many sub-section categories so that your customers can find you easily. This is a cost effective way of having presence in the paper especially if you don’t have big budgets. If you would like to enquire about placing a classified advert in our newspapers, please email [email protected] or fill out the form at the bottom of this page, one of our team members will contact you with all the relevant details to place your ad. Display ads are adverts that appear throughout the main run of the paper. They vary in size from a couple of modules right through to full and double page spreads. They can be in mono or colour and you can often specify the page number and section you wish to appear in. Our advertising advisors can help you with this if you are not sure. This type of advertising is perfect for creating a high impact or if you need extra space for a more complicated sales message. If you would like to enquire about placing a display advert in our newspapers, please email [email protected] or fill out the form at the bottom of this page, one of our team members will contact you with all the relevant details to place your ad. The Euro Weekly News website has an average audience per month of over 60,000 Unique visitors and enjoys pageviews of nearly 3.5 million per month. If you want to go into vanity statistics this website also receive between 1 and 2 million visitors/users Annually, around the world. Source: Alexa Traffic and Google Adplanner. Being at the forefront of English language newspaper in Spain we are a must have resource for many people not only for full time residents here, but also ex-pats that divide their time between England and Spain. More and more people are backing up their newspaper advertising with presence on our website too. Remember from above, familiarity builds trust; people see your Online advertising campaign in our English newspaper in Spain and also on our website with Spanish News, your brand becomes familiar and stays in the mind longer. would like prices to place a classified ad in the almeria eruo weekly. Need this placed by 7th March. Can I do it online? Author of : Goodbye Yellow Brick Road. Living the dream…in Benidorm!